When Hermès of Paris invited Robert Wilson, an internationally renowned director, to create an installation featuring pieces from its Hermès Maison collection, the result was an exceptional and unique installation called “Here Elsewhere” that brought to life the relationship between men, women and objects, complete with video portraits and live performers. The event took place at Cedar Lake, a warehouse space in the heart of Chelsea in Manhattan in May. According to Hermès, “It’s not about creating a ‘dream house’; it’s about the dream of a house and the emotional reaction that this immersive installation provokes.” The installation entitled Here Elsewhere, is an exploration of the oxymoron which exists at the heart of the Hermès Maison Universe as interpreted by Robert Wilson. It sought to articulate contrasts between physical materiality and between rigor and fantasy. 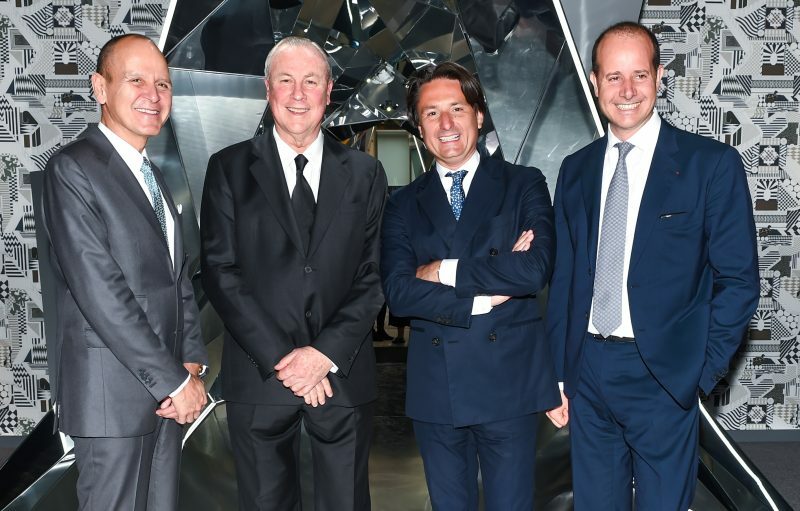 Internationally renowned director, Robert Wilson, created an installation in New York called “Here Elsewhere” featuring pieces from the Hermès of Paris Maison collection. 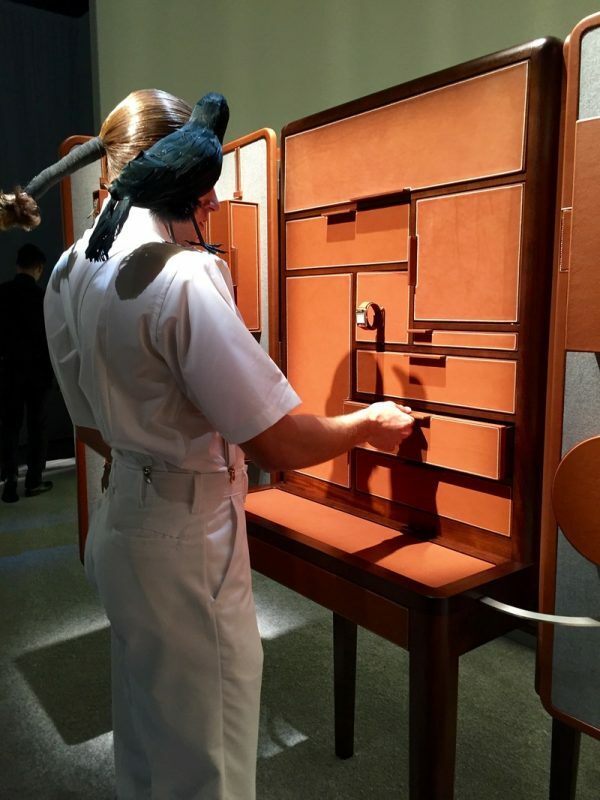 Pierre-Alexis Dumas, Hermès Creative Director and 6th generation family member, invited Wilson, the acclaimed director and visual artist, to create an original work, where performers and collections from the Hermès Maison Universe interacted with each other. Live performances in a theater set-up were staged with dramatic lighting and effects along with such Hermès Maison objects including a beautifully handcrafted Sellier sofa, chairs with caned seats, an Ecritoire desk with leather upholstery, a leather club armchair with handstitching, a folding screen, a stunning arched floor lamp and a leather magazine rack that resembled a saddle rack. Wilson, who is also a visual artist, spatial design architect and performer, created the installation from scratch that combined shadow and light, quietude and effervescence—a dialog in perfect harmony with essential everyday objects, which ordinarily have the grace to stay in the background. 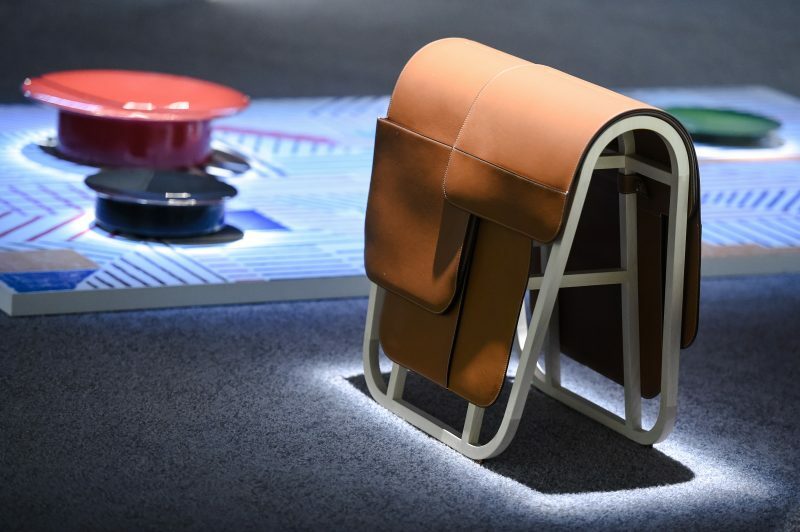 Furniture and home accessories have been part of Hermès collections since the 1920’s beginning with Jean-Michel Frank. Today Hermès Maison is a whole universe: from furniture, lighting, textiles & wall covering, to objects and tableware. 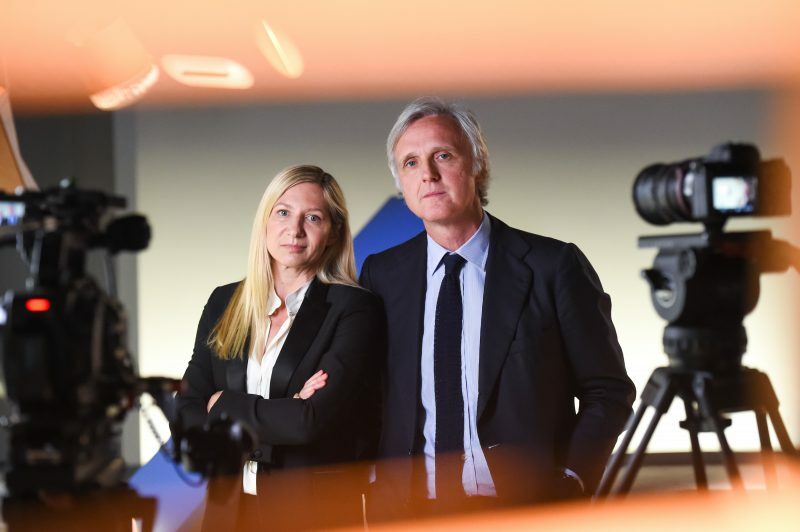 The company announced its newly appointed Maison Universe Artistic Directors, Charlotte Perelman and Alexis Fabry, during the recent Milan Furniture Fair. 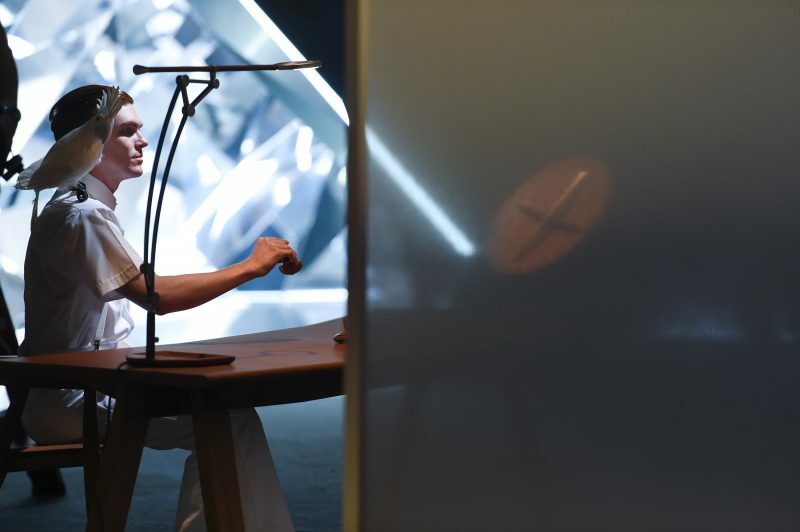 “Robert Wilson has imagined a poetic conversation between the objects that leaves memories of wonder and a sense of shared beauty in the imagination while playing on humor, mystery, and reverie,” say Maison Universe Artistic Directors, Charlotte Perelman and Alexis Fabry. The exhibition was punctuated by transparent gauze and interspersed with videos and performances, with five spaces that gave rise to a play on textures and to shapes with an obvious relevance.